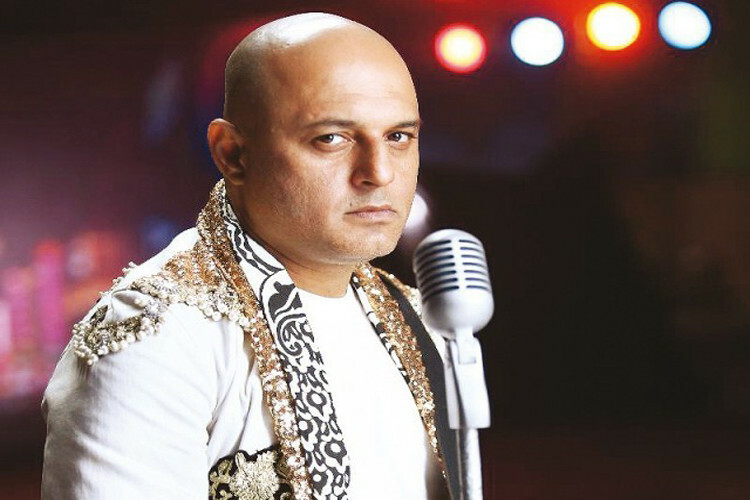 Pakistani rock icon Ali Azmat began his career as lead singer for the iconic Pakistani rock band Junoon (dubbed the U2 of South Asia by the New York Times). A solo artist since 2003, he is now reinventing the South Asian music scene, exhilarating audiences everywhere with his passionate and poetic fusion of east/west musical traditions. Born in Pakistan, Ali began singing professionally when he was very young. He was only seventeen when, his original song, “Dosti,” propelled him to stardom. Dosti means “friendship,” and in 1999 Junoon was invited to India by the Indian Prime Minister, to sing “Dosti” as a gesture of peace between India and Pakistan. In October 2001, he sang it again, this time on the floor of the United Nations General Assembly with an Indian band. The New York, Times and the Village Voice among others wrote rave reviews of his performance, the only rock concert ever held at the UN. As lead singer of Junoon, Ali fronted the largest rock band in South Asia. He joined the band at its inception in 1990. The 10 albums they released between 1990 and 2003 sold 20 million albums worldwide. In 1998, Ali and Junoon took Pakistan and India by storm with the hit single “Sayonee” from their tremendously successful fourth album “Azadi” released by EMI. In 1999, Junoon won the “Best International Group” award at the Channel [V] Music Awards in New Delhi. In 2001 Ali appeared in the VH1 News Special Islamabad Rock City, a rockumentary on Junoon hosted by Susan Sarandon. In 2002, Ali was nominated for an Emmy award. He has toured extensively, doing two North American tours a year since 1992. He has performed in Europe, the Middle East and China and at the renowned European rock festival, Roskilde in June 2000, where Pearl Jam, Iron Maiden and Travis performed, among others. In 2003 he appeared live at the Royal Albert Hall. In 2003 Ali left Junoon to start his solo career. His first solo album “Social Circus” was released in March 2005. Social Circus has received much critical acclaim, winning 13 awards in Pakistan this year including Best album, Best producer, Best single for “Na re Na,” and best new video.